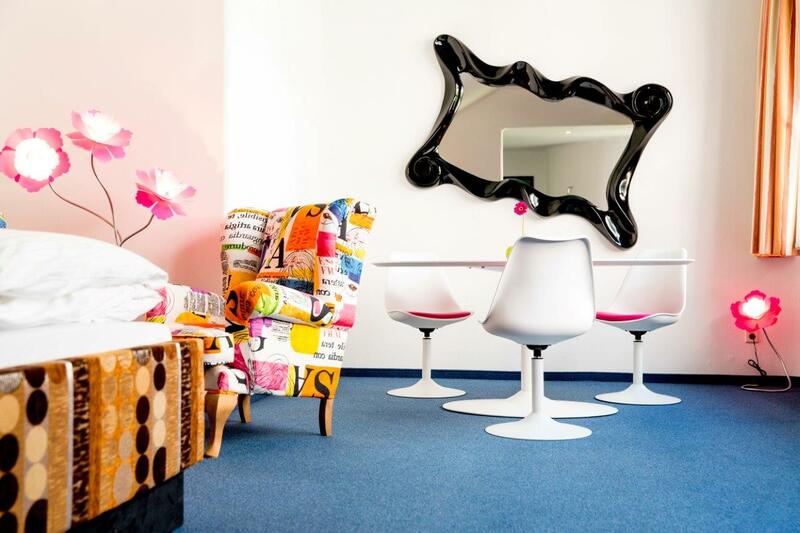 The artHOTEL in Magdeburg’s Green Citadel is the only hotel in Germany to be located in a Friedensreich Hundertwasser building. The hotel has over 40 rooms and studios, some of which have balconies or terraces. 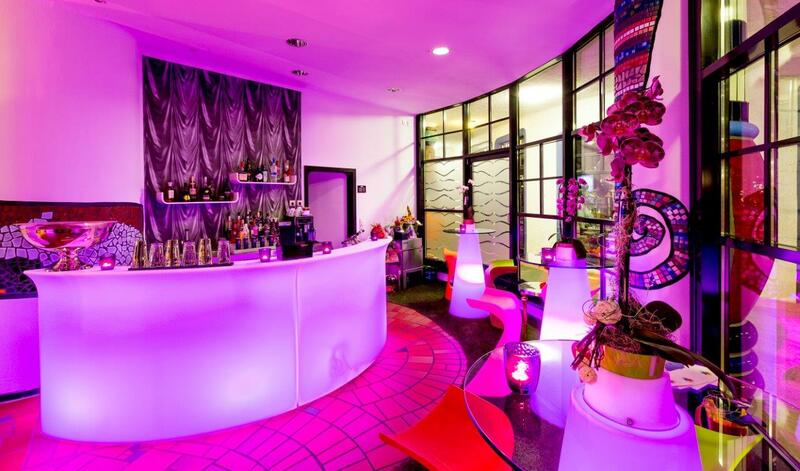 With 3½ stars, it caters to business travellers, couples and whole families alike. 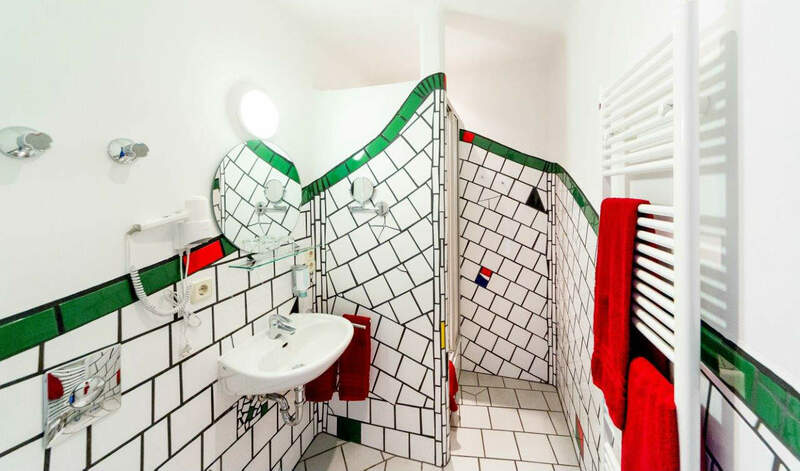 Each room boasts a unique bathroom personally designed by Hundertwasser with the artist’s trademark colourful tiles. Sky-TV, wireless internet access throughout the hotel and use of the sauna are included in the room rates. 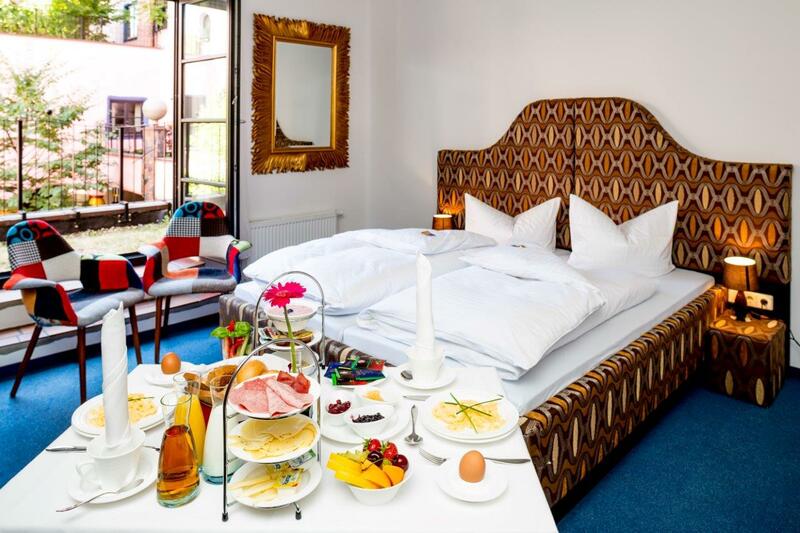 A rich breakfast is served to your room at your desired time to make sure you enjoy a relaxing start to your day.